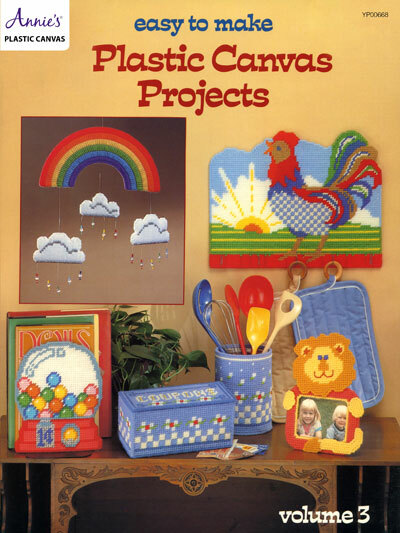 Find a design for everyone in your family in this eclectic collection of easy-to-make plastic canvas projects! 13 colorful designs are included in this great pattern book. Each is made using 7-count plastic canvas and worsted-weight yarn. 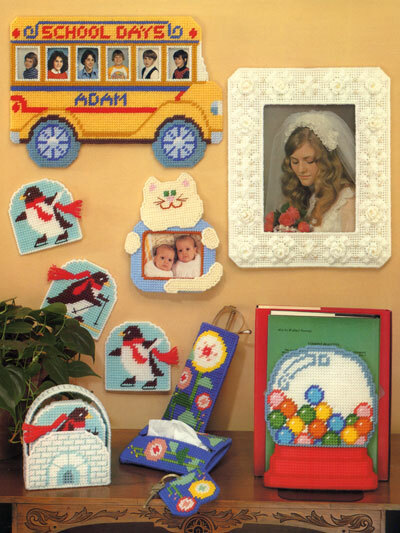 Designs include Kitchen Accessory Set, Sporty Penguins and Igloo Coaster Set, Animal Frames, Fantasy Garden Purse Accessories, School Bus Picture Frame, Wedding Picture Frame, Bubble Gum Machine Bookends and Rainbow Mobile.